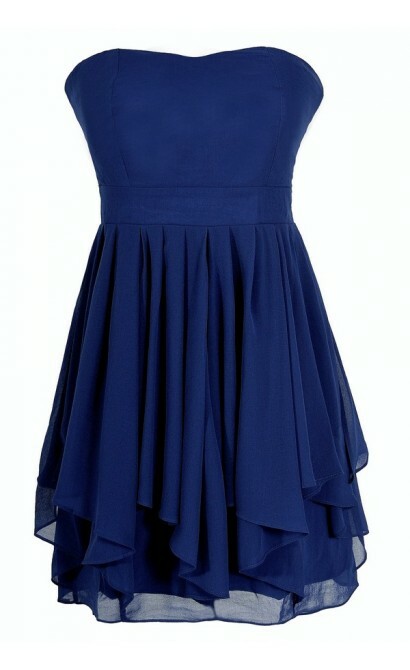 The classic strapless style of this chiffon designer dress is amped up with layers of ruffles at the hemline. We love how the ruffles give this dress some movement without being over the top frilly—this is a great option to wear when you plan to dance the night away. 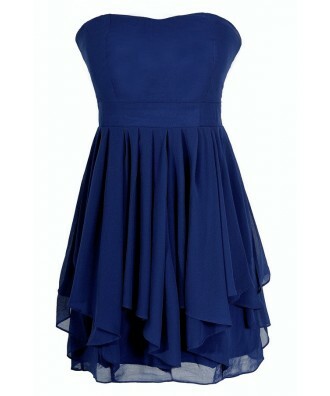 The Ruffled Edges Chiffon Designer Dress is fully lined and made of chiffon. It features a subtle sweetheart neckline and lined and lightly padded bust. The empire waist gives way to the attached skirt made entirely of chiffon. At the bottom of the skirt are vertical layers of ruffles throughout, adding a flirty touch. A contrasting fabric sash wraps around the waist and can be tied into a bow in the front. The sash could also be removed and worn without or replaced with a different color sash of your choosing. Removable spaghetti straps are included with this dress so you can choose if you want to wear it strapless or not. This is a great option for brides to wear to a rehearsal dinner. 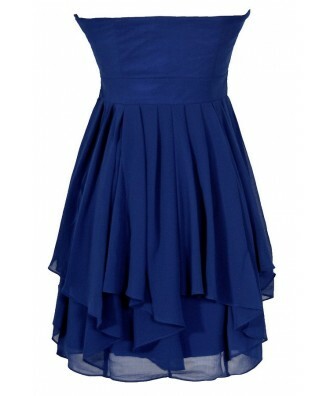 The Ruffled Edges Chiffon Designer Dress would look great paired with ivory pumps. Details: Fully lined. Invisible side zipper. Lined and lightly padded bust. Adjustable and removable spaghetti straps included. 100% polyester. Lining: 97% polyester, 3% spandex. Hand wash cold separately. Do not bleach. Iron low. Dry flat. Small measurements: Length from top of bust to hemline: 28”. Bust: 32”. 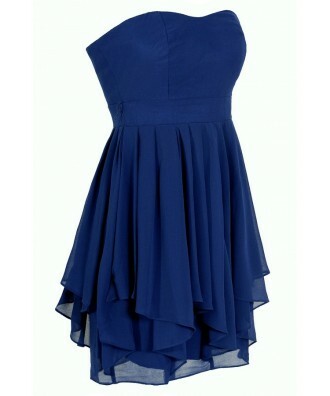 You have added Ruffled Edges Chiffon Designer Dress in Blue/Orange into Wishlist. 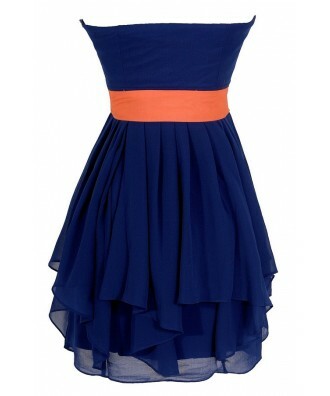 You have added Ruffled Edges Chiffon Designer Dress in Blue/Orange for Stock Notification. 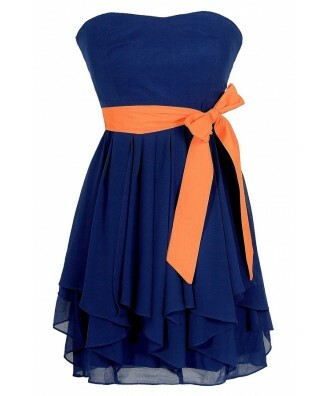 You have set Ruffled Edges Chiffon Designer Dress in Blue/Orange as a loved product. 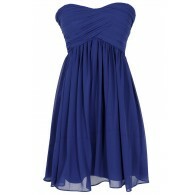 You have removed Ruffled Edges Chiffon Designer Dress in Blue/Orange as a loved product.